Looking for a Medical Treatment at affordable prices and want the best quality? Visiting India and need a reliable doctor? Forerunners Healthcare Consultants – the pioneers of Medical Tourism to India offer services to the health-seeking patients and family. This website is designed to provide our visitors with up to date information and resources about the rapidly growing industry known as ” MEDICAL TOURISM ” and how Forerunners Healthcare can help you to make educated and well-informed decisions regarding medical, health, travel and logistics requirements in India. more than 5,000 healthcare over more than 15 cities of India over more than 15 cities of India and with more than 5,000 healthcare experts. 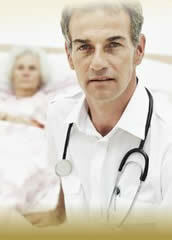 We take complete care of our patients when they travel to India for medical and health care services.